A big thanks to Ragu for making this post possible! Thank you , my guests, for supporting the amazing brands that help us create more delicious recipes! We love homestyle cooking but how do you make that delicious homestyle cooking last two days? Hence I’ve got the perfect recipe! 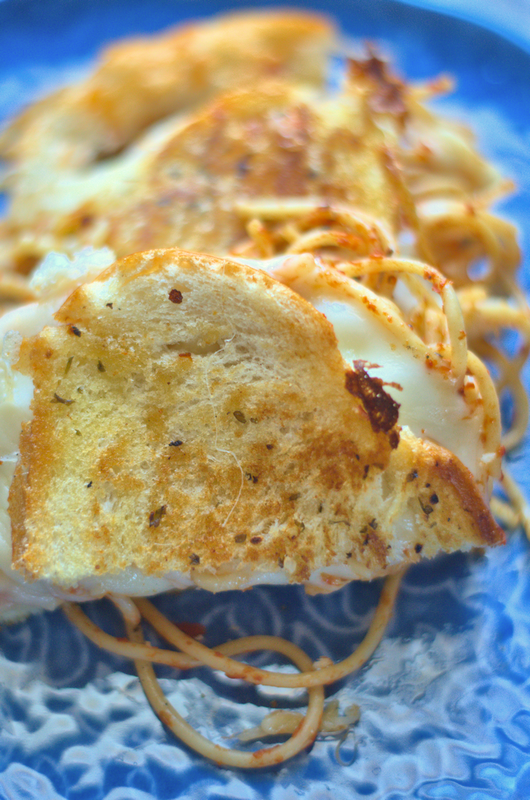 Garlic Bread Spaghetti Grilled Cheese sandwich that features spaghetti, garlic bread, mozzarella, and provolone cheese. 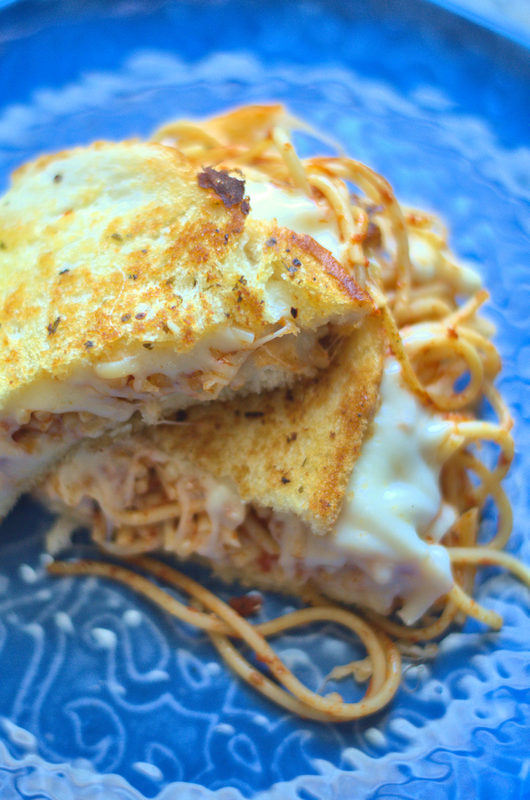 Now that homestyle spaghetti meal you had the night before can easily transition into the next night with savory grilled cheese sandwiches. After all I mean seriously these sandwiches are super filling and the complete comfort food. 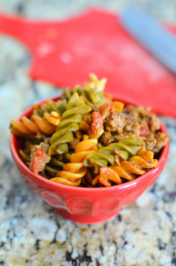 Additionally, with the plenty of options of Ragu Homestyle Sauces you can choose just about any flavor you want. After all I choose the Ragu Homestyle Thick and Hearty Mushroom Sauce. Hence I just love mushrooms, they scream the ultimate comfort food to me. Don’t even buy the store bought garlic bread. After all I like to make sure I know just how much garlic spread is going on this sandwich. 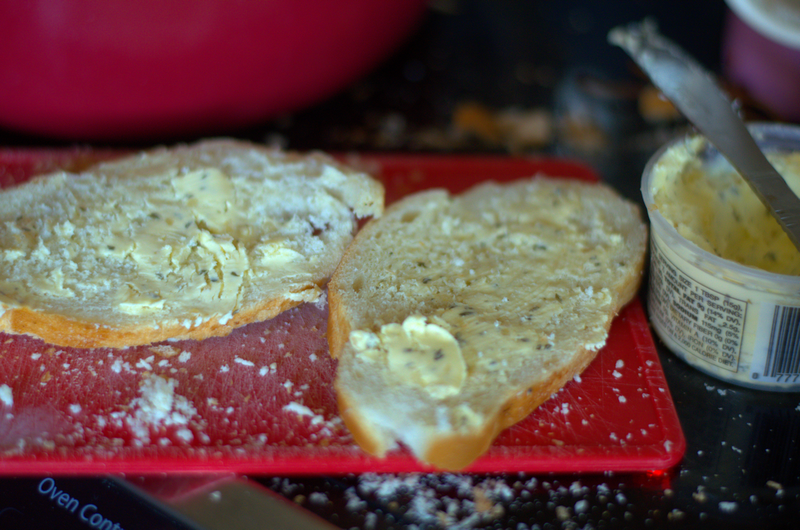 However, some people love the heck out of this spread and add TONS to the bread before you buy it. Above all its just a personal preference but I like it a bit lighter easily when it toasts up for my sandwiches. Smothered with two cheeses you know nothing comes closer to homestyle. 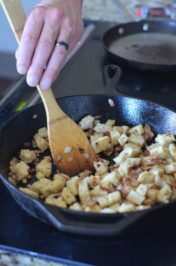 What is your idea of homestyle cooking? Do you think of comfort food, have shortcuts, or is it something slow roasted? I’d love to hear more about it below! Do you have a grilled cheese that takes you back to your childhood. This one sure does. My grandma used to make spaghetti all the time. First thing we did was top it on bread! I still make her sauce from time to time but this is one of my go to sauces. My husband is a fan of Ragu. He tells me it’s one of the sauces he likes and what he grew up used to. 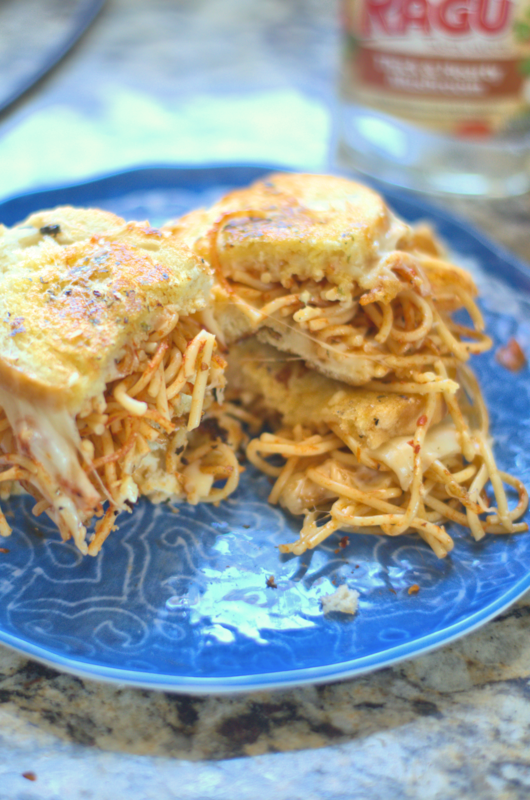 Garlic Bread Spaghetti Grilled Cheese sandwich that features spaghetti, garlic bread, mozzarella, and provolone cheese. Boil pot of water. Cook pasta as direct on package. Drain pasta and add spaghetti sauce. Spread the garlic spread on each slice on just one side. Place in skillet on low to medium heat. Top with mozzarella cheese and spaghetti. Top with a slice of provolone cheese. Place another slice on top with the garlic spread face up. Cook for about a 2 minutes and flip. Cook another two minutes until cheese is melted and toast is lightly browned. At first, I thought this combination was weird, but as I continued reading, I realized that this is something that two out of three of my kids would definitely like because they pile their spaghetti on top of bread just like you did as a child. This is a great use of leftovers. How fun! I don’t know why, but this reminds me of spaghetti tacos from the iCarly show. 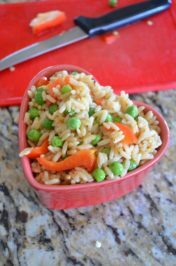 I bet my kids would get a kick out of this recipe. 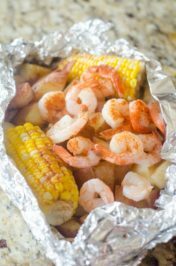 Hi Jenne… I found you via the forum and wanted to stop by and tell you how much I’m drooling over your recipe. Fabulous job dear! Thank you very much! I hope you get a chance to try it! Jenne, you have won us over. I plan to publish a spaghetti recipe round up in September. Is it OK to use one of your photos with a link back to your site?